Discover the different Collections we have to help you make the most out of your Tupperware experience! Tupperware UltraPro is made of highly durable polymer that can withstand temperature ranging from -25C to +250C. You can use it to store leftovers in the fridge/freezer, and then take it out to heat in the oven and even the microwave! It also offers versatility in cooking and baking. For example, through tandem cooking, you reduce the time required to roast and brown a chicken by half. A truly value-for-money collection. Let this be the first taste of your Tupperware's signature solutions, ranging from Fridge, Freezer, Dry Storage, On-The-Go and Cleaning to keep your home in order. 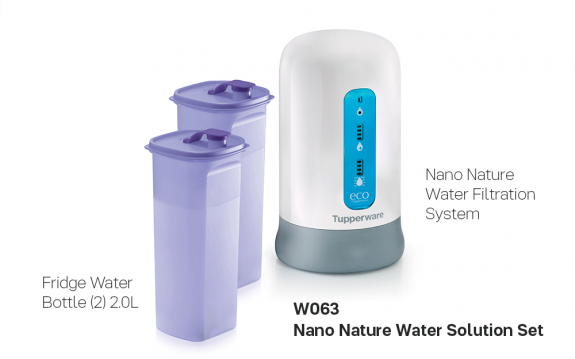 Get mineral-rich (Bakuhan Rocks) water straight from the tap with Tupperware Nano Nature Water Solution Set. Powered purely on battery, it saves electricity yet offers one of the highest flow-rate in the market. If you are a new consultant, capitalise on this offer as you won't get this anywhere else! Health as possessing natural therapeutic qualities, with over 19 different beneficial minerals added to the water. It also increases the alkalinity of water - alkaline water balances the level of acidity within our bodies (high acidity level causes diseases). 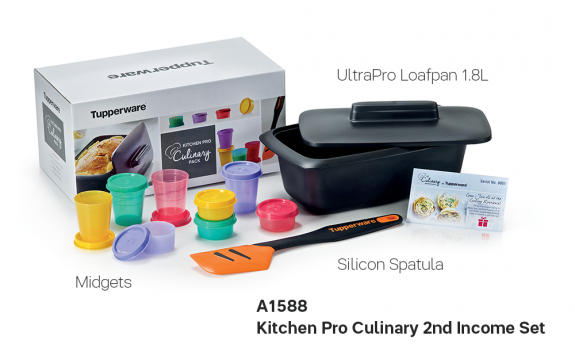 © Tupperware Singapore Pte. Ltd. All Rights Reserved. A member of the Direct Selling Association of Singapore.